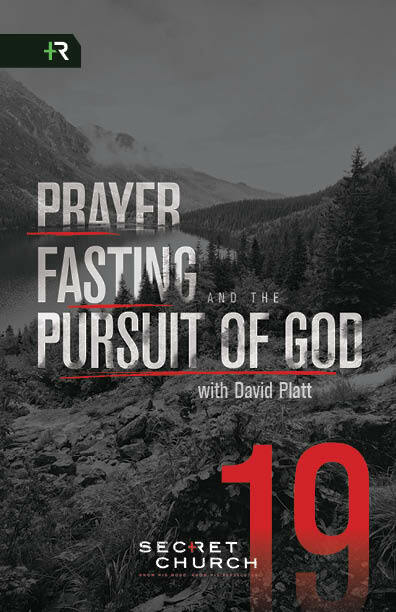 In Secret Church 19 we’ll take an in-depth look at the Bible’s teaching on prayer and fasting. We’ll see that our inabilities and weaknesses are the very place where God meets us with His strength and sufficiency. We’ll also see that faithfulness to the mission of Christ requires depending on the Spirit of Christ. Through prayer and fasting, we demonstrate our need for God’s power and our desire for His glory. If your church would like to check out the Evangelistic Block Party Trailer for an outreach event sponsored by your church or a ministry of your church, contact TRBA at 936-336-9232 to schedule it. Those who pick up and use the trailer must watch the following videos for training purposes before taking the trailer. Also print out this document and use it as a guideline for using the trailer. Also take a look at this picture which shows everything in the trailer. The ABC's of an Effective Evangelistic Block Party - It's not just a block party, it's a block party with a purpose! How to Use the Evangelistic Block Party Trailer - A place for everything and everything in its place! If you are a member of one of our churches and looking for a place to serve beyond the walls of the local church, here are two possibilities to pray about. This is a hospitality ministry that gives you the chance to help those who have family in the prison complex in Dayton. You will spend your time in a comfortable building, hosting people while they wait their turn to visit their loved one at the adjacent prison unit. Volunteers work either a morning or afternoon shift on either Saturday or Sunday. Many opportunities for conversation and sharing arise during this ministry. Several empty-nesters, recent retirees, and senior adults have found this to be a perfect fit, but anyone willing to give half a day one weekend a month should look into this ministry. If you are interested, email David@TRBATexas. Each week several inmates of the Liberty County Jail participate in the Bible study and worship times led by faithful volunteers. The men meet on Thursday evening and the women meet on Saturday morning. Volunteers usually go in pairs with one responsible for preaching/teaching and the other responsible for leading music. Inmates are always given an opportunity to accept Christ and there are usually commitments made each week. If you are interested, email David@TRBATexas.org. Churches partnering together to carry out the Great Commission by sharing God's love with one another, our community and the world. Jesus said . . .
David Williams and his wife Donna Kay are excited to serve alongside churches committed to share the Living Water of Jesus Christ with those who live in our counties, our state, our nation and around the world. 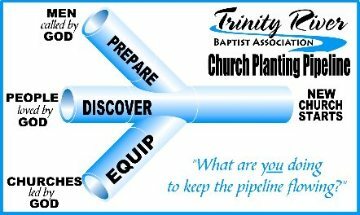 How can our 42 churches reach the 70,000 people in the area covered by Trinity River Baptist Association? Those 42 churches must start new churches that will start new churches. We are in the process of "building" a Church Planting Pipeline which will produce new church starts. Some of these new churches will eventually have buildings and a full-time pastor. But many will be small groups of people who meet in borrowed or rented space and are led by a bivocational or volunteer pastor. Some may last only a few years or even a few months. But during their existence those churches will reach, win, baptize and disciple people. And they will also start other new churches. In order for new church starts to come out of the Pipeline, there are three things that need to go ito the Pipeline: Men Called by God; Churches Led by God; and People Loved by God. How will we prepare men called by God to plant churches? We are calling out the called, men who live in our area, already have a means of earning a living, but are called by God to plant a new church here, or perhaps become pastor of one of our exisitng churches. The association's responsibility is to prepare them. Rather than send these men away for training, we offer local, excellent and culturally relevant training through the one-year Pastor Essentials course taught by our own pastoral leadership on Monday evenings. The course is taught continuously so men called by God may begin at any time. We also offer them a six-month internship in one of our churches. And, as they begin to pastor, we continue to help them by providing ongoing coaching. How will we equip churches led by God to plant new churches? We are asking each of our 42 churches to seek God's will about starting one or more new churches. The association's responsibility is to equip the churches. We provide a one-day Church Planting 101 event for each church that feels led to start a new work. As they move forward with their plans, we provide guidance and assistance. In those cases where financial suport is required, we partner with the sponsor church, the new church plant, and the state convention. How will we discover people loved by God who need churches? Where do we plant a new church? What people are we seeking to reach? The association's responsibility is to help discover those people loved by God who could be reached by a new church. The phrase "people loved by God" is motivational. When we remember that all around us are people whom God so loved that He sent His Son to die for their sins, then we are compelled to find ways to reach them. If they are not being reached by our existing churches, then we need to plant a new church to reach them. Those people loved by God may be a community, a neighborhood, a language or ethnic group, a socio-economic classification, or some people connected by common careers, interests or backgrounds. As we pray, survey our community, and open our eyes to see the darkness, Jesus will enable us to discover people loved by God. For TRBA News Delivered to Your Inbox. Click here to read past issues of Newsplash, our monthly newsletter. Click here to read past issues of Update. Nearly everybody believes in God, but did you know that God wants a personal relationship with you? To find out how you can have peace with God and be close to God every day of your life, click here. Believers and churches in Southeast Texas working together to share Jesus.